And now for something entirely different! As another detraction from the game-related stuff, I'd sketched up a quick one-off; Mario Caker the Magical Baker! 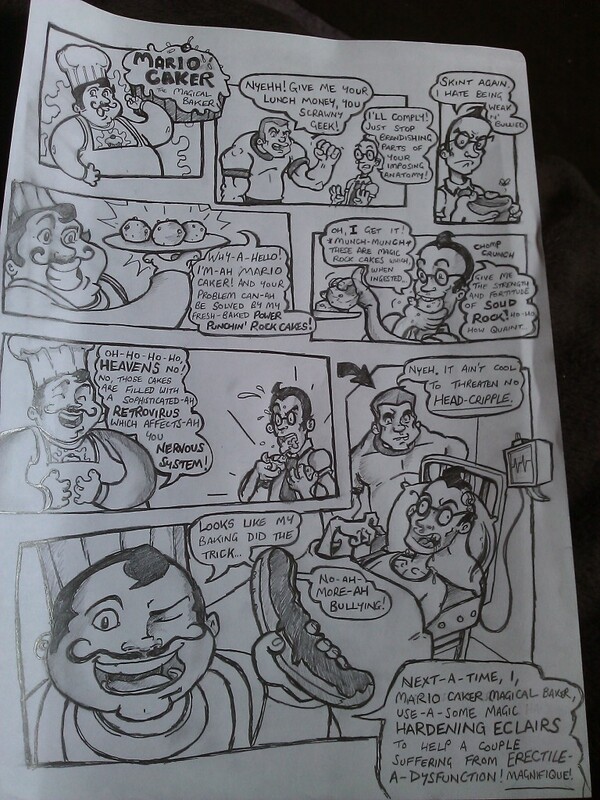 Watch as our culinary genius helps a poor geek thwart the cruel bullying of the local thug!